A man was killed while another was critically injured after their motorcycle slammed straight into a parked van in Dauis on Sunday night. The motorcycle passenger, identified as Arturo Fortuna, 31, of Barangay Dao, Tagbilaran City was rushed to the hospital but was declared dead on arrival. The driver, Johnrey Tacalan, 25, of the same village meanwhile continued to be treated for his injuries. 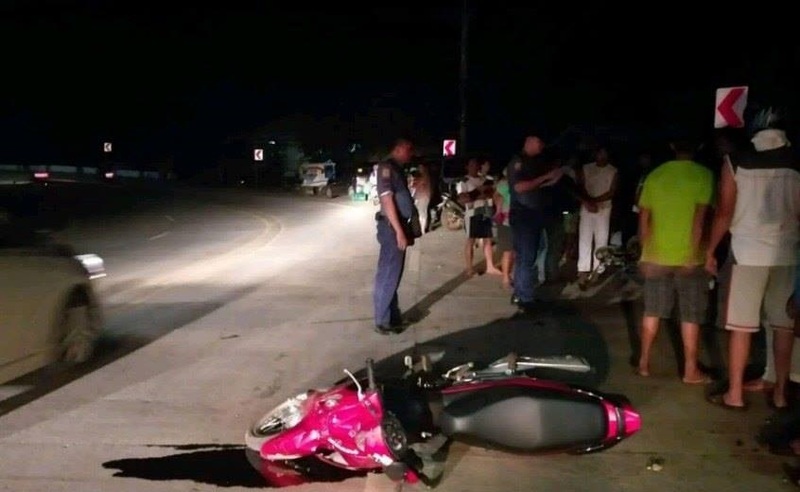 According to PO3 Dennis Quijada of the Dauis Police Station, the victims’ motorcycle swerved to the opposite lane upon making a sharp turn along a national highway in Barangay Totolan. The motorcycle was unable to recover to its lane causing it to slam into a Hyundai Starex which was parked roadside. Quijada noted that both victims may have been under the influence of alcohol during the accident based on their odor. Tacalan was also not in possession of driver’s license, Quijada added.